New satellite images of the region surrounding Bhutan's Doklam Plateau reveal that China is resuming its military buildup, after pulling back from a military standoff with India during the summer. There are reports that China has positioned in the Doklam region more than 1,000 soldiers who are likely to remain in the area throughout winter for the first time. China built two helicopter platforms, dozens of houses and stores, and upgraded roads to cope with the very severe winter. The military confrontation began suddenly and unexpectedly on June 16, when China sent troops and construction workers to begin road construction in Bhutan's Doklam Plateau, with the apparent intention of annexing the region. At Bhutan's request, India sent in troops to prevent the annexation. There were no bullets fired, but there were reports of Indian and Chinese soldiers bumping each other with their chests to push each other back. The descriptions of the situation in the Indian media were restrained, to avoid inflaming the situation. The Chinese media were the opposite, with extremely belligerent and vitriolic editorials setting deadlines for India, threatening a Chinese military invasion of India that would destroy India's army, and warning India that its defeat would be even worse than India's defeat in a 1962 border war. So when the crisis ended just as suddenly and unexpectedly on August 28, and analysts could only guess at the reasons. During those 73 days, it appeared that China and India were on the verge of a major border war, and it seemed that India would not back down for any reason. Part of the speculation for why China backed down was that a conflict would spill over into Kashmir or into the Indian Ocean, and China did not want a war at that time just before an international meeting to be held in Beijing, to be followed by the 19th Congress of the Chinese Communist Party Central Committee is scheduled for October 19. The prosaic explanation was that China had backed down so that they could build up their military forces and try again. China says that the new military infrastructure and troops are for peaceful purposes, just as they claim for the South China Sea. "The Indian Army is always in very high spirits, we are always ready to take on any mischief by anybody. I am not going to name anybody specifically. Territorial integrity is ingrained in our blood and for that we will go to any extent to ensure the territorial integrity." Last week, the foreign ministers of India and China met, and discussed Doklam. 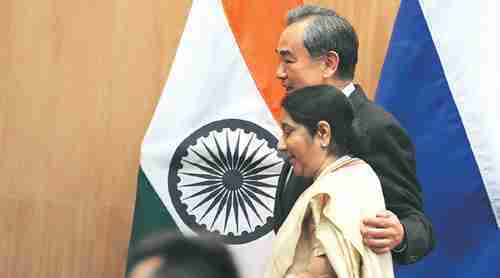 India's External Affairs Minister Sushma Swaraj held talks with her Chinese counterpart Wang Yi. "Foreign Minister Wang Yi and I agreed that we should further strengthen our mutual trust to develop a better understanding between the two parties. And it will be better to meet again, and without agenda, which will help us to expand our mutual understanding." "The matter was finally settled peacefully through diplomatic means, reflecting the maturing of bilateral relations. However, lessons should be learned and should be avoided again." "We handled the Indian border troops' trespass into China's Dong Lang (Dokalam) area in our national interest, on just grounds and with restraint. Through diplomatic means, we engaged with the Indian side and it withdrew its equipment and personnel." "I met a Chinese person at Toastmasters. I asked her this. Her reply was along the lines of 'There will be no war. America just has to grow up and learn its place.'" A couple of days ago, I quoted Chinese experts who warn China to prepare for nuclear war in North Korea. "The war on the Korean Peninsula might break out anytime between now and March next year," Wang said, stressing that "China should be psychologically prepared for a potential Korean war, and the Northeast China regions should be mobilized for that." "Such mobilization is not to launch a war, but for defensive purposes," he added. According to Wang, the war is expected before March. Wang does not say that China would oppose the US militarily. 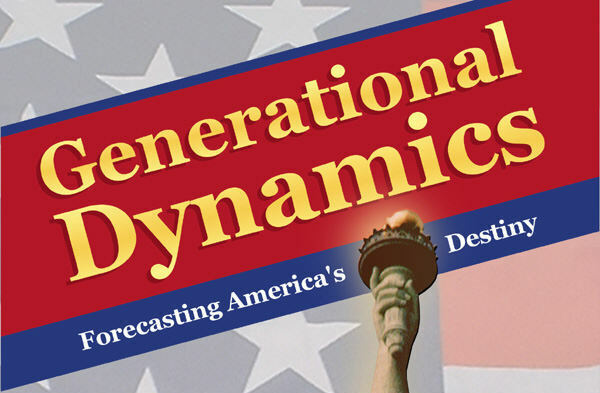 In my article, I estimated that a war between the US and North Korea would begin within 6-18 months, though 3 months is a possibility. The time frame probably depends more on what North Korea does than anything else.